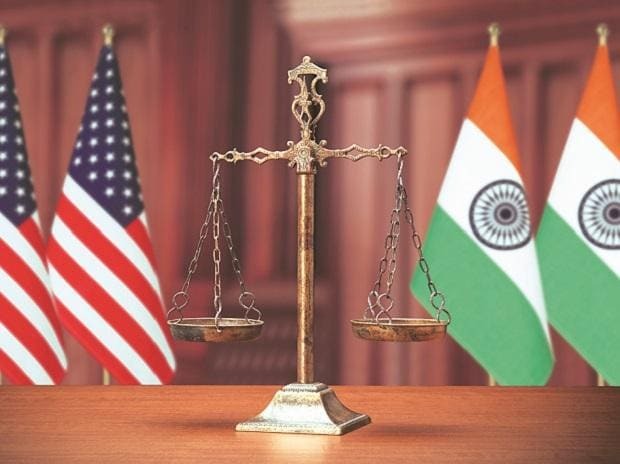 Less than a month before the country goes to polls, the government is pushing forward on the proposed India-US trade package to clear pending bilateral issues and leave behind the bad blood caused by America cancelling India's Generalized System of Preferences (GSP) benefits. Keen to salvage its engagement with Washington DC that has gone southbound ever since the Trump administration came in, India has called for a final set of meetings with US trade officials, soon. "The Prime Ministers office has directed that there be constant communication and a joint solution should be reached with the US," a senior government official said. The package has been in the works for the past one year and trade officials have met as many as five times to hammer out a deal that provides an amicable solution to grouses from both sides. The package has been under negotiation for the last 8 months and includes mutual trade concessions across IT goods, aviation and oil purchases. Talks came apart after the US last month cut off India’s duty-free access to the American market under its largest preferential trade scheme, the GSP. Now, the US has hinted that India needs to hold off on its plans to raise tariffs on key imports from the country. Senior Commerce Department officials are divided over whether to delay the announced tariffs. India has already deferred the imposition of higher duties on 29 key imports from the US, for an unprecedented six times. Originally set to go live from June 28, 2018, the tariffs have been repeatedly postponed by the government and are now expected to take hold from April 1 as opposed to March 2. Despite them being notified by the Central Board of Indirect Taxes and Customs, the tariffs have been postponed repeatedly. In response to an unilateral increase in steel and aluminium duties from India and other countries by the Trump administration, New Delhi had announced higher tax by up to 50 per cent on import of mostly agri goods like apples, almonds, walnuts and some industrial products. The new taxes are proposed to rake in an estimated $240 million worth of additional taxes. Spread across sectors from which imports stood at $1.5 billion in 2017-18, New Delhi claimed the amount was equal to the estimated loss faced by India after the Trump Administration imposed a 25 percent extra levy on steel and 10 percent on aluminium products from many countries, including India in May, 2018. However, officials said the basic contours of the package has to be renegotiated as trade experts had said the earlier terms were favorable to the US without helping India. New Delhi had considered the dismantling of its current price cap regime for coronary stents with a trade margin policy, and agreed to concede lower duties on import of certain information and communication technologies products such as high-end mobile phone and smartwatches from the US. "Cheaper access to oil from Texas along with a broad range of trade concessions were offered by the American side. But none of that was conditional on the GSP," another official said. The GSP benefits are lapsed and the government will not actively petition the US to change its position, he added. “The (GSP) benefits in absolute sense and as a percentage of trade involved are very minimal and moderate,” Commerce Secretary Anup Wadhawan had earlier said. India is also the only major trade partner, with which the US trade deficit has gone down consistently. In an instance of supreme irony, annual trade figures released by the US trade authorities a day after Washington DC snatched away India's GSP benefits, showed its trade deficit with India to have shrunk to $21.3 billion in 2018. In 2017, the US’ trade deficit with India was $22.3 billion, down from $24.4 billion in the previous year.